Since 1993, XTEC has provided reverse supply chain services to technology-focused companies. We offer manufacturers, service organizations and equipment operators a comprehensive suite of product support services driven by an integrated, cloud-based software system. The modern reverse supply chain is a complex mix of end-use locations, parts, processes, suppliers and data. Our unique capabilities allow us to abstract away these complexities to create a seamless system linking services, people, parts and data. It’s a holistic approach to managing the reverse supply chain that results in superior product support and increased profitability for our clients. XTEC operates a 40,000 sq. 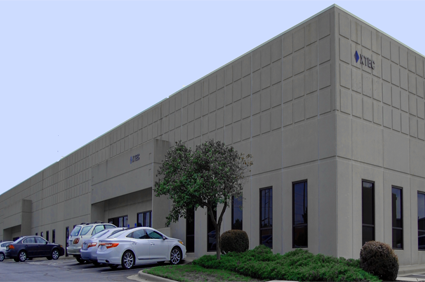 ft. facility strategically situated in the Kansas City metropolitan area. This location places us near the geographical center of the United States, and at the crossroads of the transcontinental and NAFTA trade corridors. The result is fast, economical shipping access to every region of North America, and our Central Time Zone location means more hours of overlap each day for conducting business with both coasts. XTEC is intelligently located, with a smart, highly-motivated work force, and a unique mix of technologies and high-value services. Taken together these advantages make XTEC is the right partner for reverse supply chain services.